Extreme Reality (XTR3D), the only company to bring full-body 3D motion control experiences via a device’s native or peripheral camera, today announced that its Extreme Motion technology has been incorporated into Indie Hero Ltd’s first motion enabled game, BeatBoxer+TM. BeatBoxer+ is a new rhythm based fitness focused interactive game that uses any camera enabled Windows device to capture and incorporate a user’s body movement into the gameplay. The game is compatible with ShadowBoxer resistance hardware to add to a player’s workout experience. 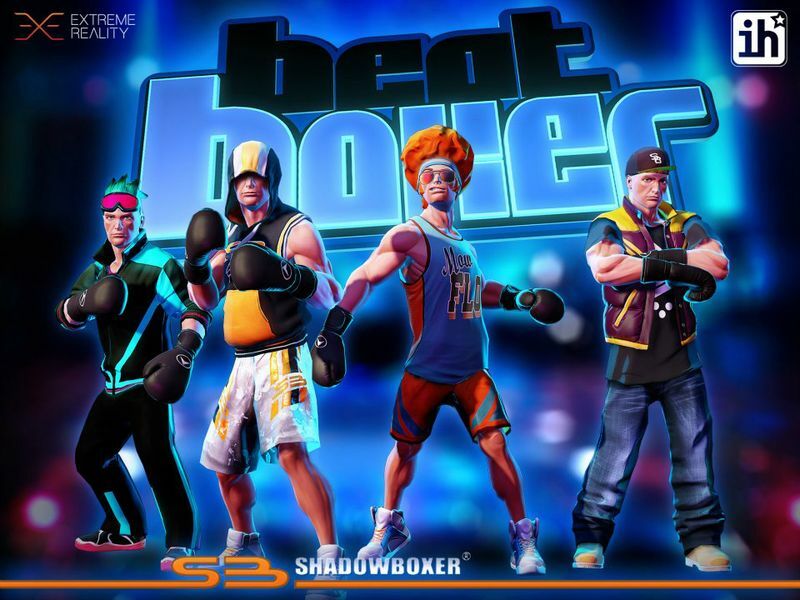 BeatBoxer+ combines the world of shadowboxing and high energy music, including internationally renowned DJs such as DUB FX, to create a truly immersive and rewarding full body motion gaming experience. Players can set personal fitness targets, swiping along to the rhythm of the beats, and the ShadowBoxer resistance hardware can be added to enhance the workout experience. Players punch their way through various workout routines, setting new personal best scores and tracking their fitness levels en route to the Golden Glove round. BeatBoxer will be available for $15.49 and published through the game’s website http://www.beatboxergame.com and major game retailers including Desura. The game is available for any Windows device using the device’s native camera or a peripheral camera. A video demonstration of BeatBoxer+ is available at: http://www.beatboxergame.com. Indie Hero Ltd is a studio comprised of seasoned developers from leading studios. With development and management experience that spans over three decades in games that include Wip3out, Midnight Club, GTA, Worms and Alien Breed, Indie Hero Ltd aims to establish itself as a recognized provider of gesture based games. Developers interested in integrating Extreme Motion control technology into their game or app can apply here for the Extreme Motion SDK. Extreme Reality (XTR3D) is the only company to bring full-body 3D motion control experiences to any computing device and operating system via a device’s native or peripheral camera. Offered as a software development kit (SDK), the company’s Extreme Motion product enables developers to create applications and games that break the physical barriers of hardware and environment required by current motion control technology. With 14 patents granted worldwide, the Extreme Motion technology recognizes and analyzes the three dimensions of a user’s skeletal joints and the movement and interrelation of the joints. Extreme Reality was founded in 2005 and is based in Herzelia, Israel. For more information, please visit http://www.xtr3d.com/ or join the conversation and like us on Facebook, or follow us on Twitter @ExtremeReality1. Indie Hero Ltd is a privately owned development company headquartered in Middlesbrough, United Kingdom. Indie Hero Ltd along with international partners, creates and publishes original interactive entertainment content for consoles, PC, and handheld/wireless devices. For more information on Indie Hero Ltd, visit http://www.indiehero.co.uk/. Shadow Boxer International PTY LTD was formed in 2007 and is an Australian sports and fitness brand with patents and trademarks in over 30 countries. SB have had over $30 million of sales through its distributors throughout Asia since 2010. SB have always been pioneers in new trends and see the collaboration with XTR3D and Indie Hero being beneficial for reaching larger audiences with health and fitness. http://www.myshadowboxer.com/.